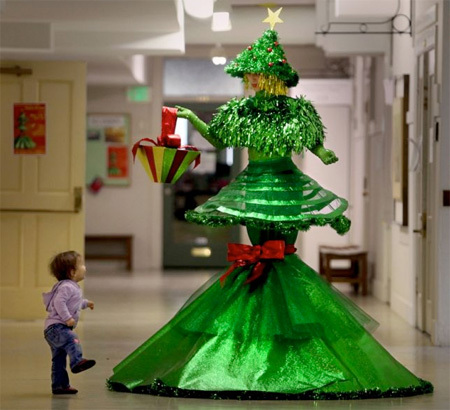 The most creative and innovative Christmas Trees from around the world. 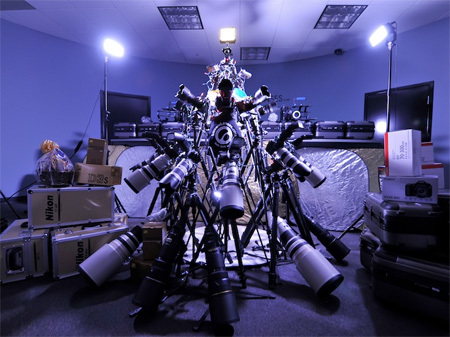 Modern Christmas Tree constructed out of cameras and camera lenses. 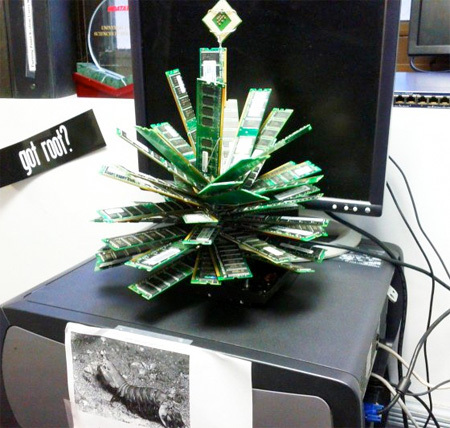 Unusual Christmas Tree created out of computer memory sticks. 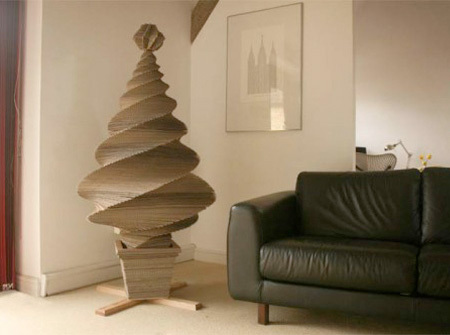 Eco friendly Christmas tree made entirely out of recycled cardboard. Incredible Christmas tree made of painted bicycle wheels and parts. 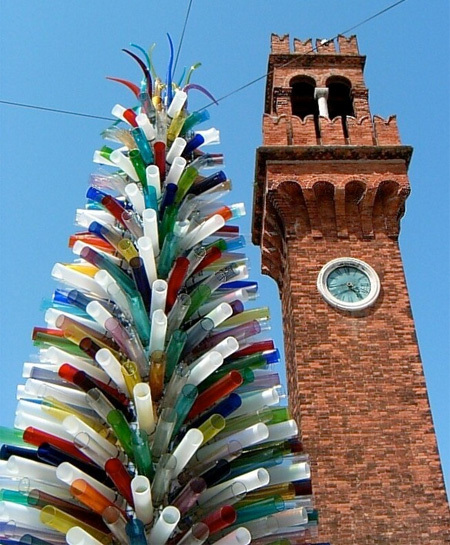 Beautiful Christmas tree in Italy was created out of glass tubes. 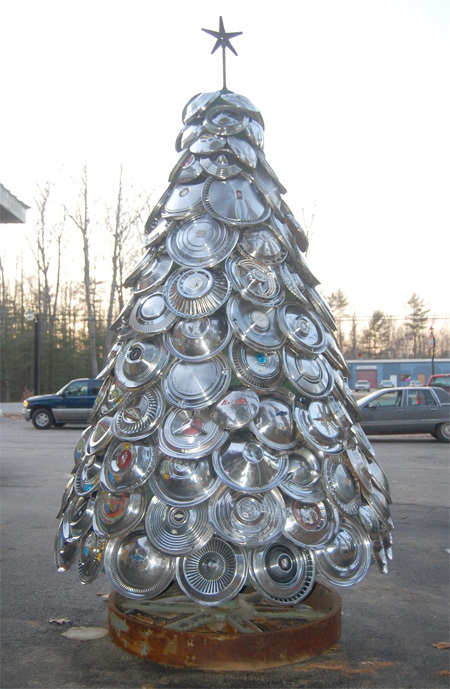 Original Christmas tree created out of hundreds of wheel covers. 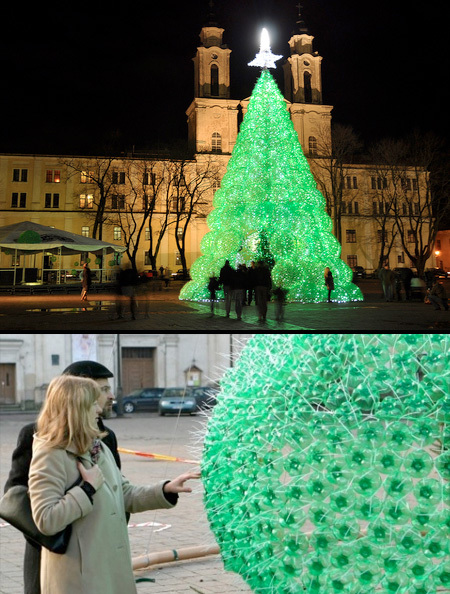 Christmas tree in Lithuania was made out of recycled plastic bottles. 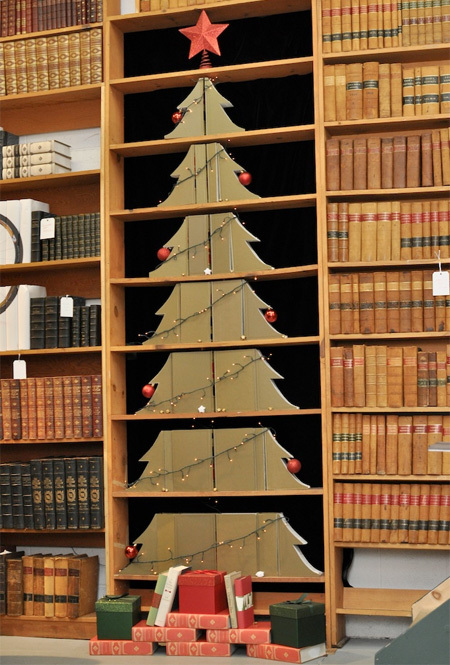 Unique Christmas tree created out of 30 carved and shaped books. 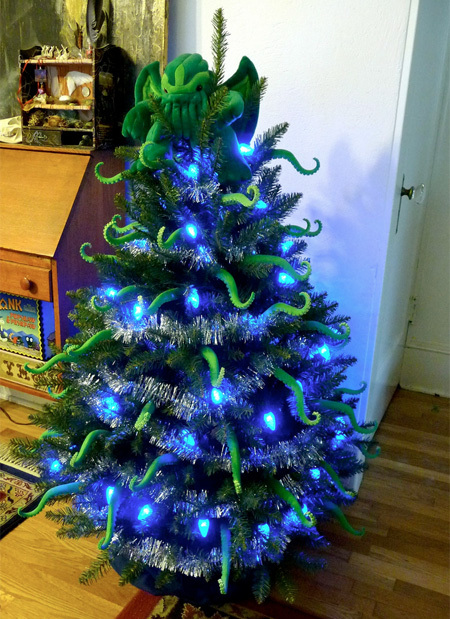 Awesome Christmas Tree inspired by Cthulhu fictional character. Christmas tree created out of pure gold worth 1.95 million dollars. 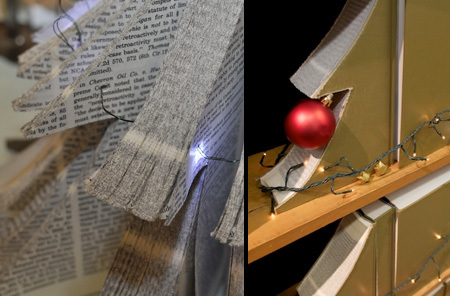 Fun and memorable Christmas tree inspired by Portal video game. 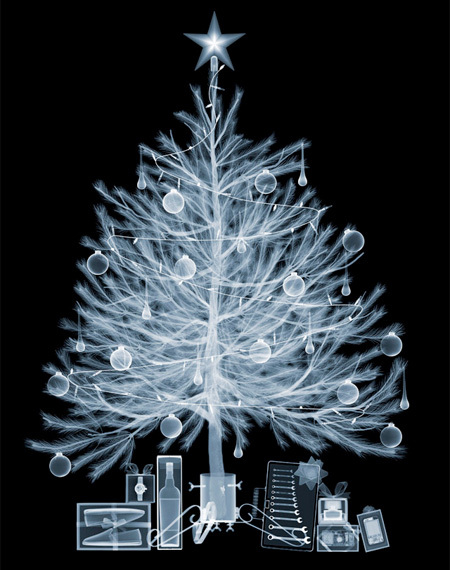 Stacked objects reflected in the mirror form unique Christmas Tree. I love the Emerald Christmas Tree and Portal Christmas Tree. 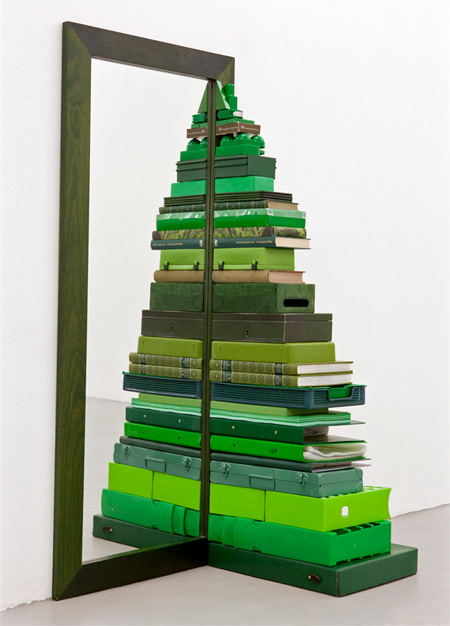 But Camera Christmas Tree just makes me rolling my eyes. Camera tree doesn’t really look like a tree, more like someone dropped a heap of cameras & was too lazy to clean them up so they just said it was a tree. 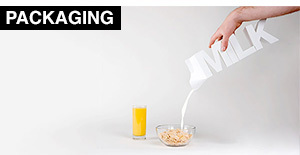 They should have said it was art – then they could not clean it up for a lot longer. I liked most of the others, the mirror tree was really creative. 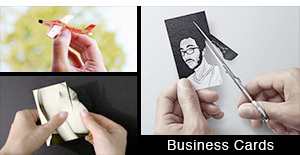 I’d probably actually use the Cthulhu tree or a smaller version of the Emerald tree. 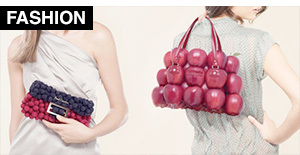 But I’d most like the gold one so I could sell it & buy whatever I want! 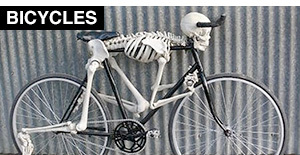 An eighteen-wheeler would look good on Lady Gaga. 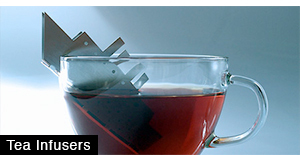 Camera tree is pretty lame, how did it make this list?? But does the truck have a tree on it? 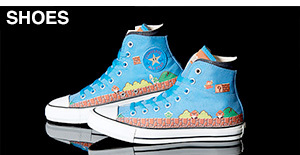 merry mirror is very very good!!!! 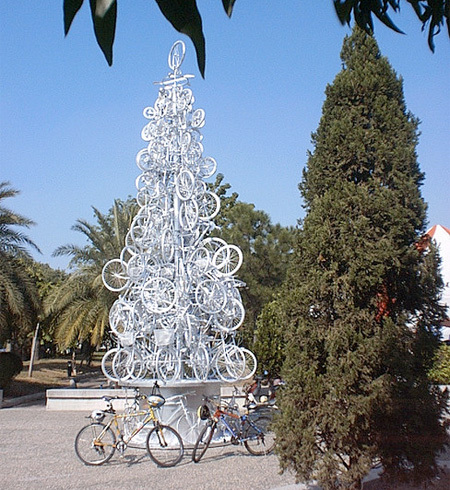 A christmas tree in my town made out of bicycle wrecks. 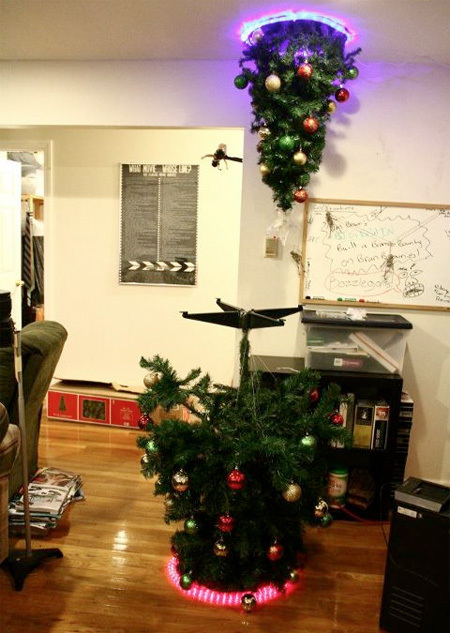 HAHAHA I’m DOING the Portal tree next year!